Four souls in the darkness. Conference dinner at Crown Plaza hotel, Dún Dealgan, Éire. 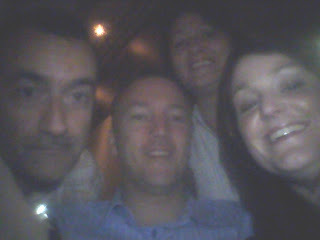 Nicola Larkin and John McDonalds with Inmaculada Maiz and me at EdTech 2008. Directly published from my smart phone LG Viewty.